A personal favorite station event of mine is the Rhode Island PBS Arts Auction. 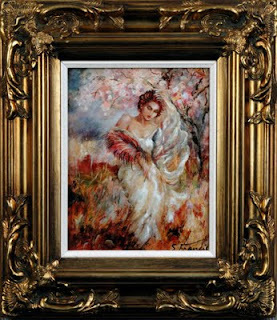 Some incredible original and limited-edition signed and numbered artist reproductions are available, usually at enormous savings. Plus I get to support local public television, a "cause" in which I strongly believe. For me, it's a win-win (as are all of our auctions, actually). But there's something about the Arts Auction that elevates my spirit in a different way - the beauty of art. Connecting with the artist on a personal level of silent understanding; I "get" what the artist wanted to convey, and I am touched by it, moved, satisfied. Of course, there are always works I see that do not make that connection with me. Those are the pieces others will buy - folks with whom a personal connection is made. Make your connection. Find your style. For sure, it's there! The 2009 Arts Auction ends this Sunday, October 25. Items are both on the Web and on exhibit at the Rhode Island Convention Center, Providence. There's no Arts Auction on TV this year. Everything is online; please feel free to browse for your favorite items and bid! Even better, visit our collection in person at the RI Convention Center, if you can. There is nothing like seeing a work up-close, to see the variations of light and dark, and nuances of color. This applies to jewelry, pottery, and sculpture, as well as the paintings. As good as the online photos are, you get a different perspective - and appreciation - at the exhibit. Currently, all items are displayed in the street-level West Lobby. Thursday we'll move 30 premiere artworks upstairs to the Providence Fine Furnishings Show, which runs Friday-Sunday. Everything else stays in the West Lobby. You can bid on every item through Sunday evening either downtown or on our Web site (ripbs.org). As a registered bidder, you can follow your favorite items - even if you're not yet ready to bid. Watch them by clicking "Add to My Items" on the description pages, next to the pictures. Then, visit "My Items" to track them. You can even get email alerts when they receive bids. Call it a "multi-media event" – in more ways than one. The 2009 Arts Auction to benefit WSBE Rhode Island PBS includes fine works of art by renowned and emerging local artists and artisans. Oil, pastels, watercolor; steel, bronze, copper; clay, glass, plaster – whatever the medium of choice for artistic expression – become landscapes, portraits, still lifes, in a variety of styles from abstract to realism, modern to traditional. Sculptures, kinetics, jewelry, pottery, and textiles satisfy the tactile sense, while stunning photography proves life does imitate art. This year's featured artists include Del-Bouree Bach, Harley Bartlett, Kyle Bartlett, Richard Benjamin, Kris Donovan, Richard Grosvenor, John MacGowan, Cynthia Whalen Nelson, Michael Rich, Anne Mimi Sammis, David Schock, Walter T. Scott, Jr., and Anthony Tomaselli. The way the Art Auction will be made accessible to art collectors and the public is its own multi-media event, too – in person, on television, and over the Internet. Until 11:59 P.M. on October 25, all items will be available for online viewing and bidding at www.ripbs.org. For those who prefer a more up-close-and-personal view of the art, the complete collection of donated works is on exhibit in the Rhode Island Convention Center (RICC) Lobby through October 25. Computers are available at the RICC to take visitors' bids. A special Rhode Island PBS Fine Arts Exhibit will also be featured in the Providence Fine Furnishings Show, October 23 through 25. The gallery exhibit in the RICC lobby is free. 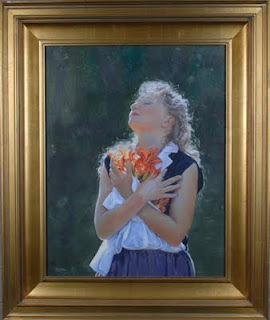 For more information about the 2009 Rhode Island PBS Arts Auction, visit www.ripbs.org or call 401-222-3636, ext 327. For details and tickets to the Providence Fine Furnishings Show, visit www.finefurnishingsshow.com. Here's what up this week on A Lively Experiment. Sunday, October 18 at noon on WSBE Rhode Island PBS. WSBE Rhode Island PBS broadcasts over the air on digital 36.1; Cox/Verizon/Full Channel 08; DirecTV 36; Dish Network 7776; ComCast subscribers, please check local listings for the channel number in your area. Last spring, the H1N1 (Swine) flu made headlines across the world with clusters of outbreaks and several deaths. In deference to warnings from health officials to expect more widespread outbreaks of the H1N1 (Swine) flu strain during the upcoming flu season, WSBE Rhode Island PBS presents Rhode Island Responds: 2009 H1N1 (Swine) Flu tonight at 8 P.M. This live, one-hour program with viewer call-in will present the latest information about the H1N1 (Swine) Flu and vaccine, with focus on Rhode Island’s policies to prevent and plans to handle an outbreak, particularly among school-aged children. Hosted by NBC 10 Health Check reporter Barbara Morse Silva, panelists will be Dr. David Gifford, medical director of the RI Department of Health; Deborah Gist, commissioner of the RI Department of Elementary and Secondary Education; Dr. Penelope Dennehy, chief of Pediatric Infectious Diseases at Hasbro Children's Hospital, and Dr. Michael Dacey, chief medical officer at Kent Hospital. Viewers can call WSBE with questions anytime during the program. (The telephone number for the call-in lines will be displayed on the TV screen.) Volunteers and medical professionals will staff an off-camera phone bank to handle the questions. Some viewer questions will be transcribed and asked of the professionals on the air. Viewers can also transmit their questions and comments electronically during the program by coming back to this blog. Not near a TV tonight? NBC 10 WJAR will stream the program on their Web site: turnto10.com. Our Web site has a page with basic flu facts and links to Rhode Island and Massachusetts resources. Watch WSBE Rhode Island PBS over the air on digital 36.1; Cox/Verizon/Full Channel 08; DirecTV 36; Dish Network 7776. ComCast subscribers should check local listings for the right local channel number. • Should the U.S. send more troops to Afghanistan?